25-09-2018, 13:54 - How rare are the Xak games? 13-12-2017, 21:22 - MSX Auctions - Rate it R! 08-12-2017, 11:11 - parallax games? 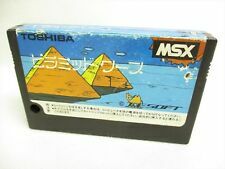 06-12-2017, 10:52 - MSX Auctions - Rate it R! 08-06-2017, 22:24 - A letter from the past. 07-08-2016, 20:53 - Pre-purchase of "Sector 88" (new Kai Magazine game). 05-02-2016, 19:40 - New MSX owner! 27-01-2016, 17:38 - Space Manbow 2 where?